I own a Dell E6420 w/ i5 2520m and it ONLY sees 8 GB (with 2x8 GB cards) @ 1333MHz of the 16 GB on 2 cards that I installed, I would really like to have the 16 but this mobo does NOT support 16 GB RAM! You need to specify what mobo and BIOS not just the model of laptop you have lol. This is whats in mine: Mobo: Dell model: 0K0DNP v: A01 Bios: Dell v: A21. Would be nice to know if yours differs, do you know how to find this information on your laptop? This Mobo can handle up to the i7 2820QM which will allow the Crucial RAM I bought to run @ 1600MHz but still the mobo limits the total amount of RAM to 8 GB. I would really appreciate knowing more of your hardware so that I might improve this laptop, if I can and $ permits. Though OS would not matter, Win 7 & Linux also only see 8 of the 16. BIOS of course sees 8 GB @ 1333MHz. You are an idiot! He asked what CPU, Mobo, and BIOS...You answered with CPU, & QM67 Express Chipset! I have these as well and I installed 2 x 8GB cards that COULD go 1600MHz IF IF IF the CPU can do that. As we all know, I hope, the 2540m does not support 1600MHz so the RAM would be limited to 1333MHz. I was fine with that in the interim, that is until I bought a 2820QM CPU which DOES support 1600MHz. What this computer sees with the 2540M CPU is 8GB RAM @ 1333MHz NOT - I say again NOT, 16GB RAM @ 1333MHz. Not even 16GB RAM @ 667MHz. It would be nice if you answer questions asked. What Motherboard?!?!!? What BIOS!??! 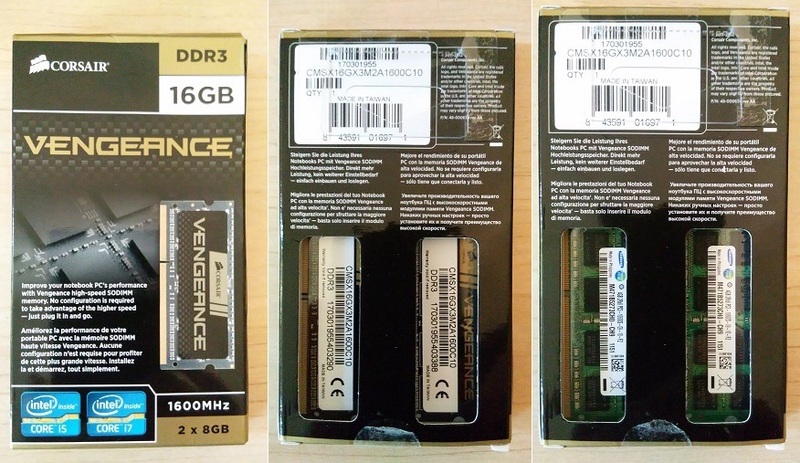 - Or are you a RAM retailer lying about what some random E6420 would see, thus hoping to get some random sucker to buy more RAM than usable? I would be wiling to *** my life on the QM67 chipset might possibly be used on ANY of the motherboards Dell put in this machine. Please use your head for more than a hat rack! lol. Do you not know how to find out what motherboard and BIOS you have? If not I can link you to many 'how to's on it for you, just let me know. 1. Windows 10 Pro Release 1607 (Version 14393) just upgraded to Windows 10 Pro Release 1703 (Version 15063) known as the Windows 10 Creators Update deployed by Microsoft to me in June 2017. 4. You must buy 1.5V memory for 2 and 3 generation Intel processors. 5. Corsair memory speed is backward compatible to 1333MHz to match the external bus speed.